Taxi Taxi is the first and only provider of a fleet of brand new hybrid taxicabs, sedans, and fuel efficient vans that meet the sustainability needs of the traveling public. Taxi Taxi is your environmentally friendly taxi service that is redefining the standards of the taxi industry. 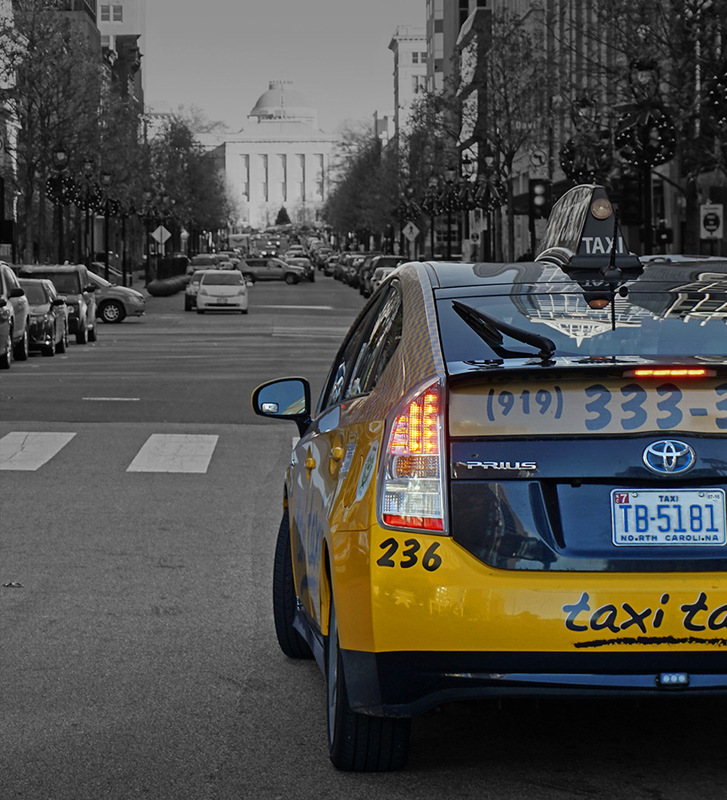 Taxi Taxi functions as part of the Taxi USA group of cab companies operating in the South East United States with headquarters here in North Carolina. Our brand is built on over 50 years of industry experience, refinement and success. Coupling the latest in PCI compliant credit card technology, 24 hour video surveillance, and GPS dispatch systems with neat, clean, and polite service, Taxi Taxi brings the quality to transportation that you as a passenger deserve. We look forward to growing along with the community, and even more to serving you.